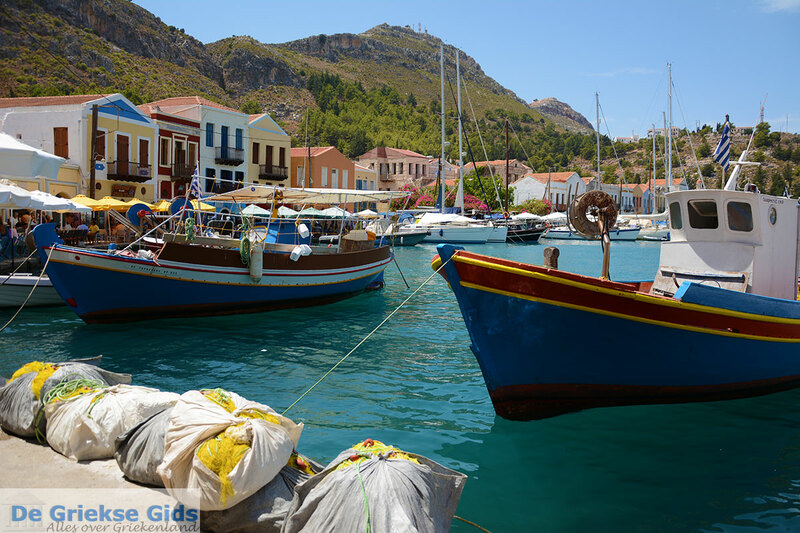 KASTELORIZO (Kastellorizo or Castellorizo) is the easternmost island of Greece and is located less than two kilometers (less the 1 mile) from the southern coast of Turkey and 120 kilometers (72 miles) from Rhodes. 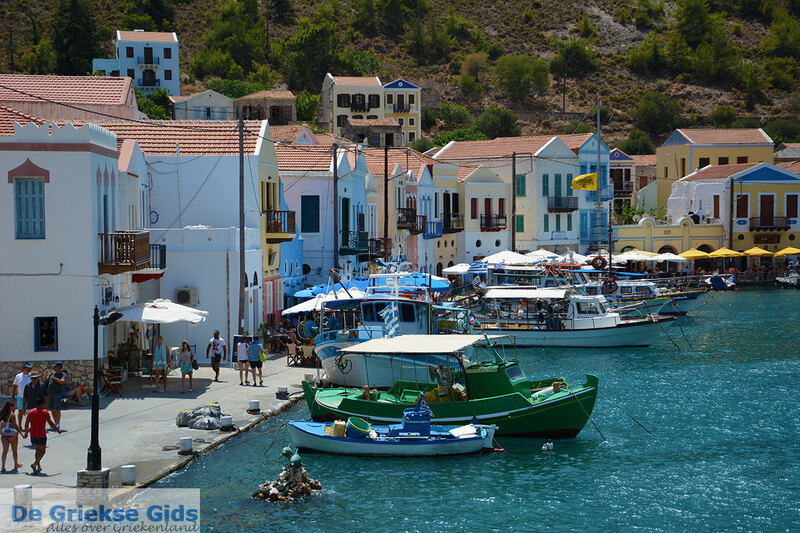 Kastelorizo covers an area of 5.9 square kilometers (2.2 square miles). In the early 20th century it had a population of 15,000 people. Almost all these people emigrated to the mainland, Australia and Egypt. Today it houses only 200 residents who are mainly engaged in fishing. 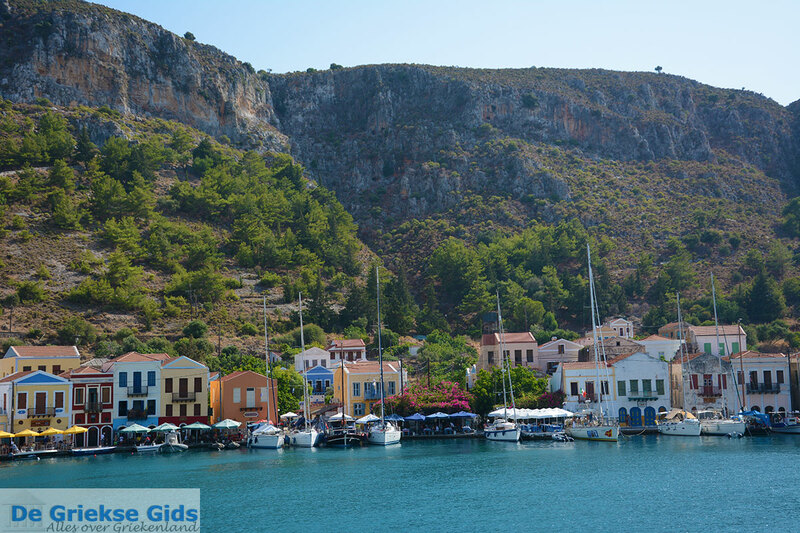 Kastelorizo is located in a long bay and is built on the slopes of the hills that surround this great bay. In many places the slopes are covered with pine trees and forests. It is very nice to take a walk around the whole quay, viewing the mansions. 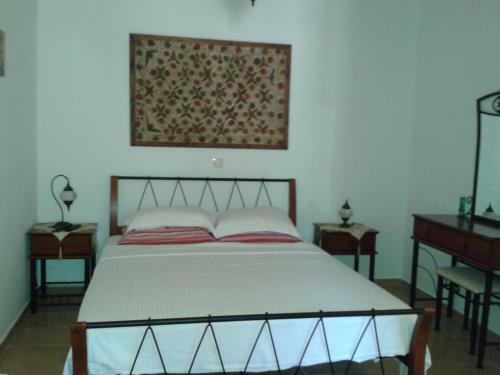 The houses have two floors with wooden balconies on the 2nd floor. The windows and doors are painted in many hues, and the houses are painted in a variety of colors such as cream, light blue, dark red and pink. 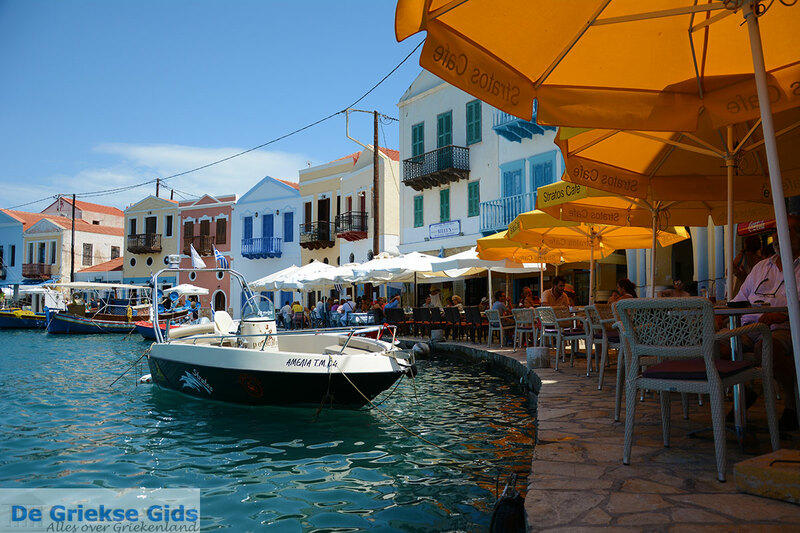 Around the bay are lots of terraces where you can sit and enjoy your frappe. In the summer these terraces are packed and the tourist shops are very busy. 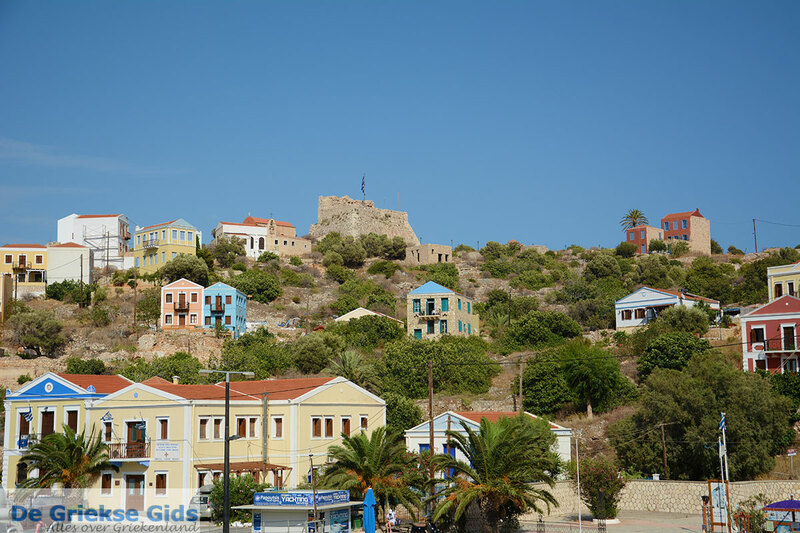 Kastelorizo owes its name to the 14th century castle built on the hill, on the left side when entering the port. It was built on the same site where an ancient Acropolis was located and a small Byzantine fortress later built by the Knights of Rhodes. They built this castle on a hill of red sand and red rocks. 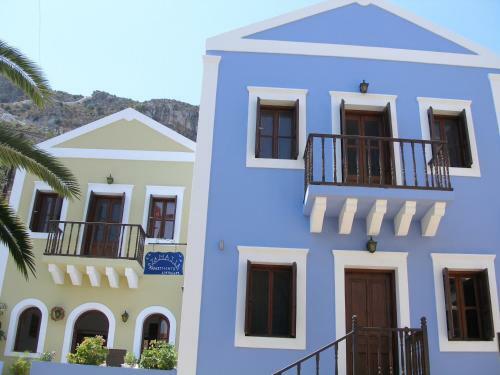 Hence the name Kastelorizo derived from Castello Rosso (red castle). Before that, the island was called Megisti, which means "the greatest." The name “Megisti" is still used by many Greeks. This name was given by the Dorians in antiquity when they occupied the island. 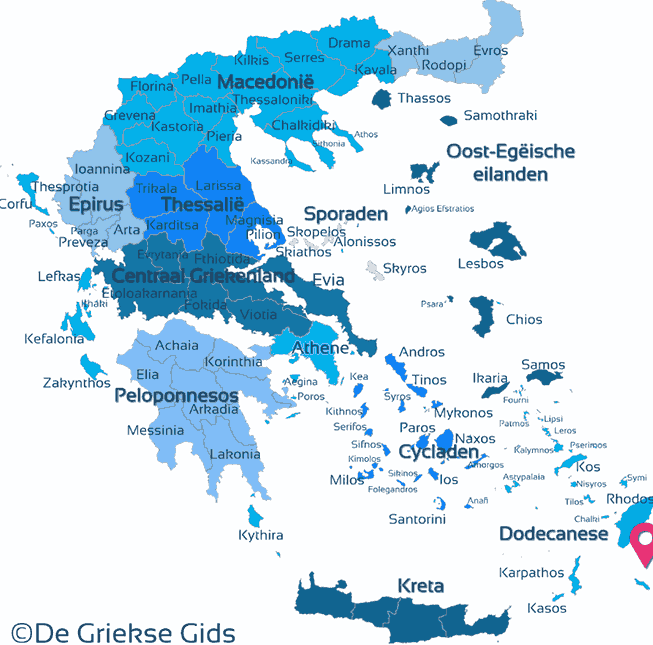 The Turks call the island "Meis" which is also derived from Megisti. 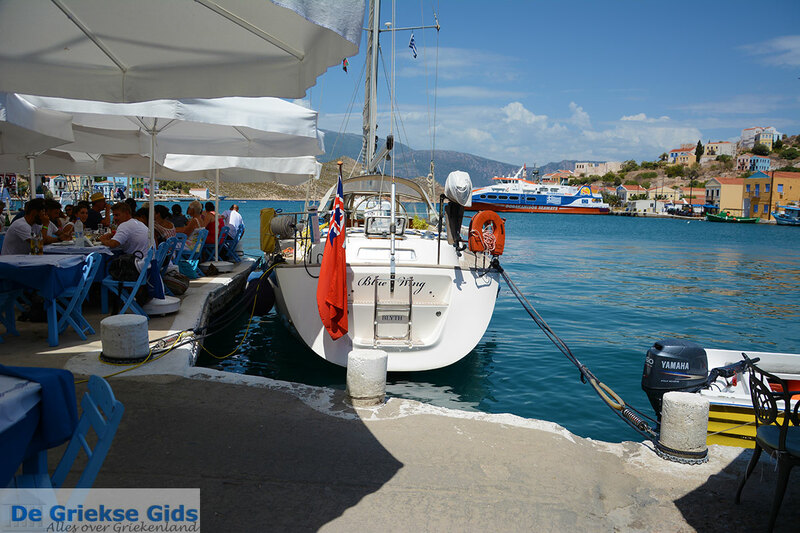 You see this name on all Turkish boats that come to Kastelorizo for day trips. A walk up to Castello Rosso is a must because from up here, there is a great panoramic view to the harbor and to the Turkish coast, and a fantastic view to the beautiful bay of Mandraki east of the castle. Opposite of Mandraki some small rock islands are scattered around. In the past, the shipbuilding industry located in the bay ensured the prosperity of the island. At the castle there is a well-preserved tomb from the Hellenistic period. Down at the harbor, among the cafes, there is an old mosque that has been transformed into the Ethnologic Museum. 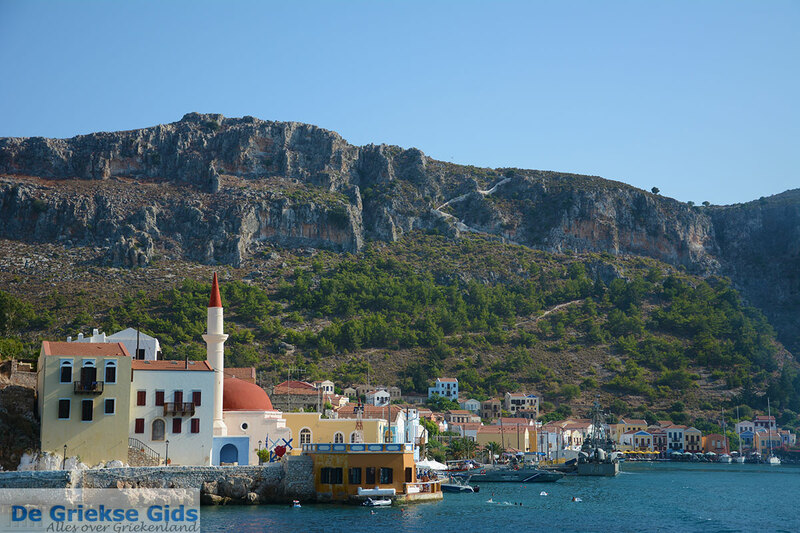 The Archaeological Museum of Kastelorizo is housed in the medieval castle of Aghios Nikolaos, between the castle and the old mosque. The feast of Profitis Ilias is celebrated on July 20th. 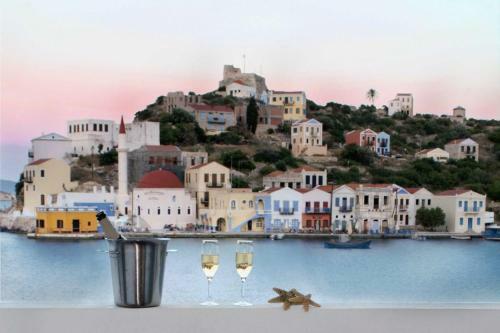 The liberation of Kastellorizo is celebrated on September 13. 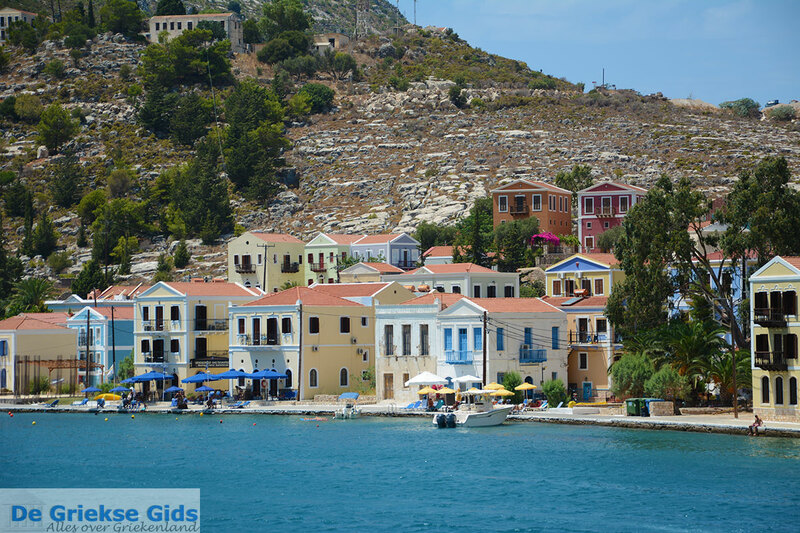 Megisti or Chora - the capital of Kastellorizo ​​with the beautiful traditional houses and terraces. The small sandy beach of Mandraki. The islets of Ro and Stroggili. 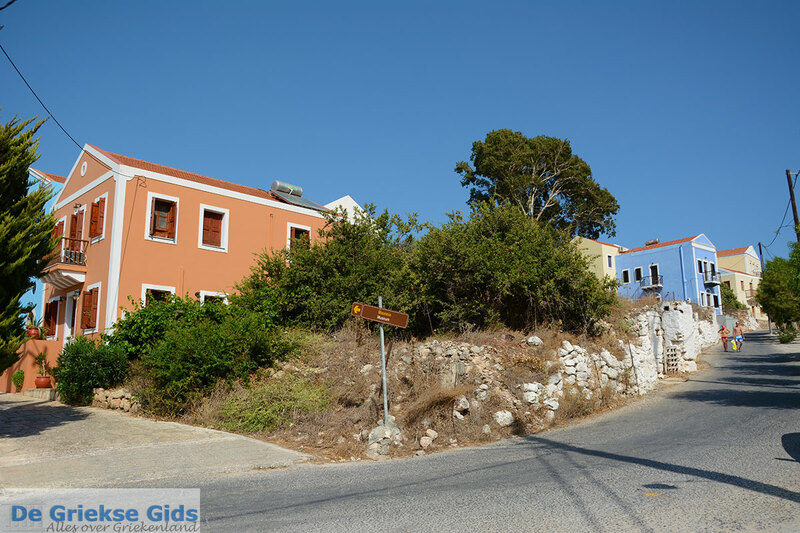 Paleokastro, built on the top of mountain d Viglia. 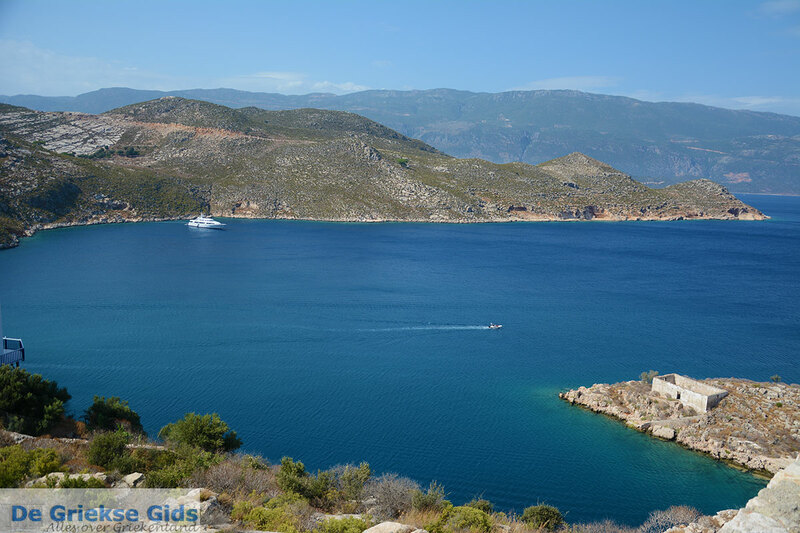 Knights Castle of Aghios Ioannis, built in the 14th century on the hill with the red rocks near the port, hence the name Kastello Rosso = Kastelorizo. 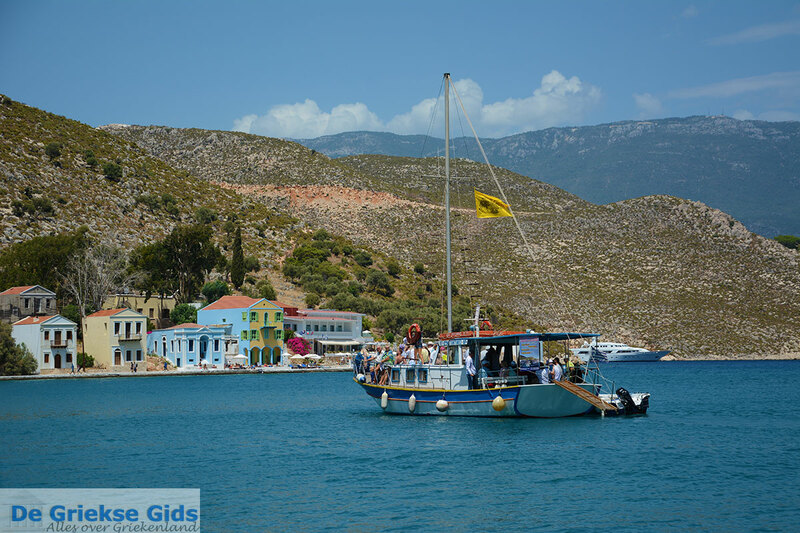 How to get to Kastelorizo? 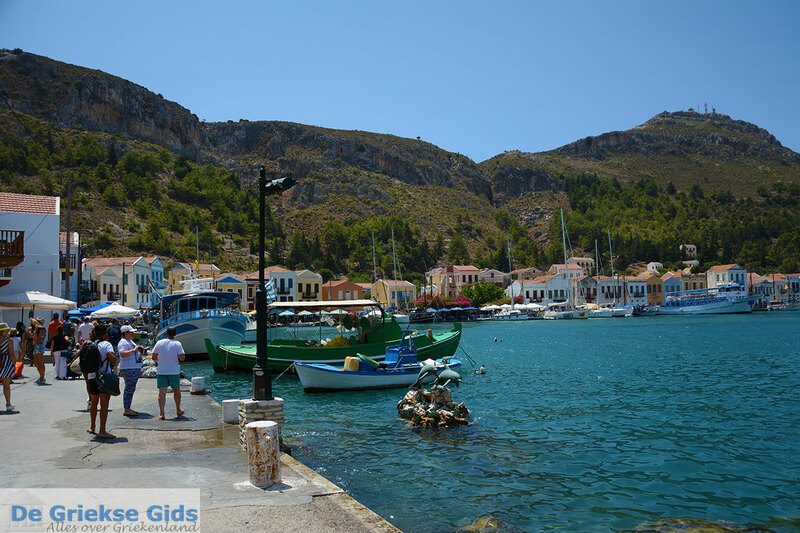 A domestic airport is located in Kastelorizo. 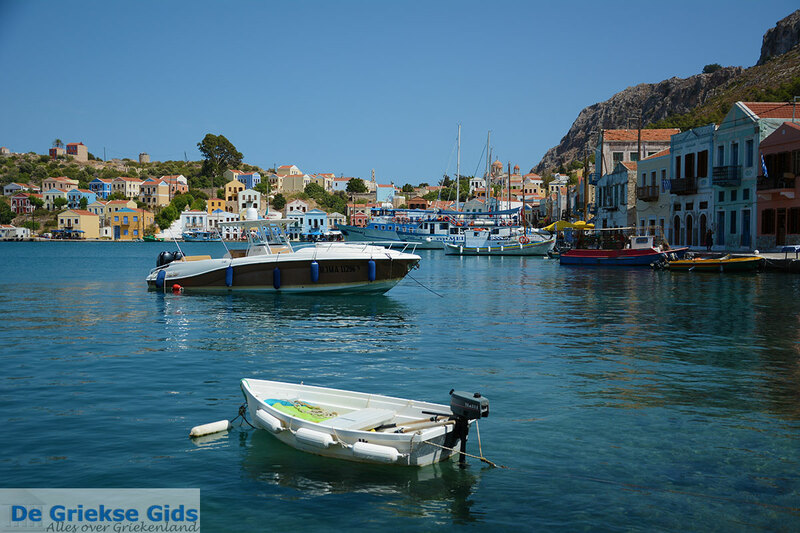 Flights arrive regularly from the Rhodes airport. 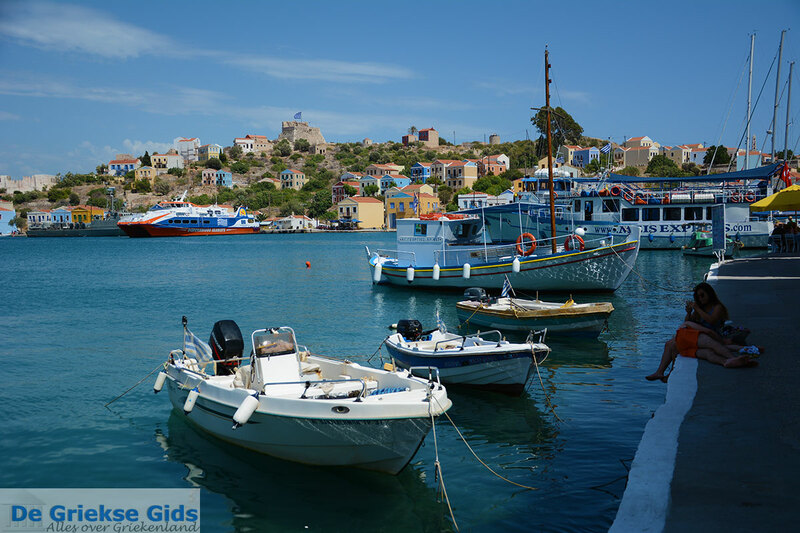 The island is also connected by ferry with the ports of Piraeus (Athens), Kalymnos, Kos, Naxos, Nisyros, Paros, Rhodes and Tilos. 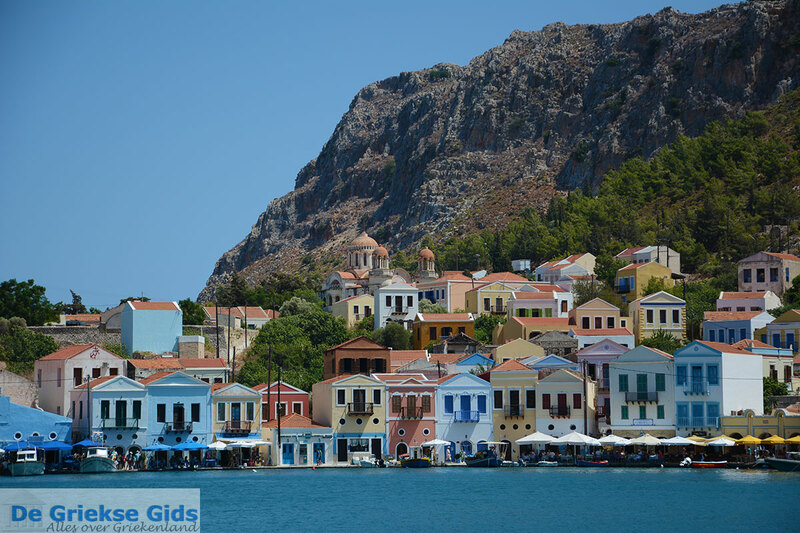 Kastelorizo: Where on the map is Kastelorizo located?